It’s really hard to find a stopping point to review Blade & Soul when new content keeps coming out. Today Ncsoft announced the first expansion pack for its massively multiplayer martial arts role-playing game is launching in two days. Sheesh. I guess with Blade & Soul having been active in Asia since 2012 means Ncsoft has a ton of content lined up to keep the game fresh for North American and European players. Their version of the game launched back in January, and players with much more time on their hands than I have been tearing it up. 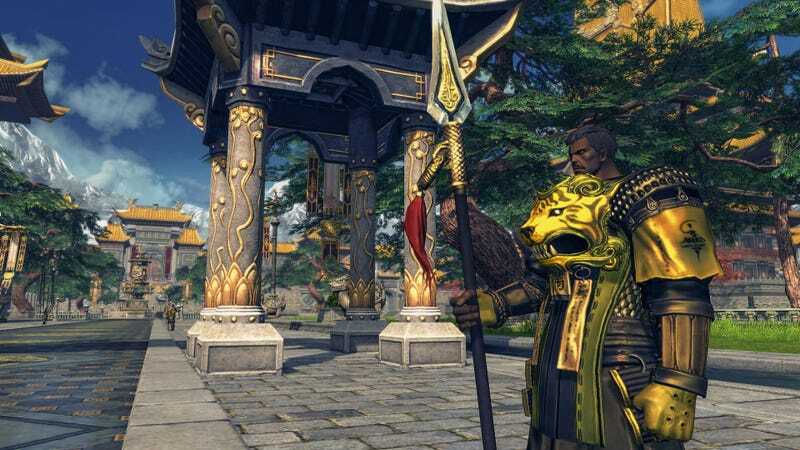 Those players are likely overjoyed to hear that the Silverfrost Mountains expansion is coming out on Wednesday, adding a whole new continent to the game, raising the level cap to 50 (Hongmoon level to 10) and adding all sorts of end game content. Or at least current end game content. At this rate the end of the game keeps moving. The expansion features plenty of new places to kill new things. Eight new dungeons, a fresh faction-only player-versus-player area and a pretty spectacular city await players’ eager eyes. I’m just looking forward to chapter IV of the game’s ongoing story myself. I would really like to get my revenge now, please. Between this and the recent Warlock addition, Ncsoft is doing an excellent job of keeping me on my toes when it comes to rendering any sort of final verdict. As it stands I think it’s a free MMORPG that any fan of the genre should give a try. My enthusiasm comes and goes, but when I do get the itch to play I always have a good time.